Almost everything he mentioned about quality, lead times and the fact that modular is not manufactured housing hit all the the right points. I was truly thinking we had a knowledgeable ally in him. OMG! What I had a first considered an ally soon turned into just another uninformed Realtor with little true understanding of what modular can be. If you are the kind of buyer that is looking for the best deal and is up to date on the quality of many modular homes, you may be extremely satisfied with one. If you are a buyer who wants something uniquely yours, something customized or something that will impress the neighborhood, a modular home may not be the right fit. After reading it, I want every modular home builder and factory serving his areas in MA to write him, call him or visit him and tell him he needs to update his attitude toward Modular Housing in the US. With all the marketing that builders and factory people have been planning along with the efforts of the MHBA, Realtors like this guy can kill a sale for you simply by giving out this type of information. About the Author: The above Real Estate information on pros and cons of modular homes was provided by Bill Gassett, a Nationally recognized leader in his field. Bill can be reached via email at billgassett@remaxexec.com or by phone at 508-625-0191. Bill has helped people move in and out of many Metrowest towns for the last 28+ Years. If you haven’t signed up for the New England Modular Boot Camp on March 9th in Milford, MA yet, maybe this is another reason you should. Make your reservation now! Click Here to reserve your seat. It’s time to begin fighting back against the misconceptions of modular housing. I have no idea how the cost of land increases when it knows you are going to put a modular home on it! That is not what the article says Tom Hardiman - you should actually read it! I always find it humorous when people who sell a certain product think there are no flaws and that everyone thinks the product is the bomb! You might want to open your eyes a bit. The article was well balanced. Bill, in your article you state that "While the modular home may cost less to build, you are still going to need to purchase a piece of land to build the home on". While that's true, a person buying a conventional home also has to pay for the land do they not? Now, you do say that there may be extra cost for the land development depending on where you build, and that's a fair statement. I am actually amazed that the blog post discusses modular construction only but all the pictures that the blogger has set up for pinterest posts show site built construction. That alone was cause to me to be concerned that the blogger even understood modular construction and how it works. On top of that, they are posing as an expert to give other uninformed parties advice on something of which they themselves are not fully educated. Many people only look at pictures and partially read the written word. All we ask in this industry is not to disparage us if you don't understand us. It is not true that modular homes appraise for less that of conventional, site built homes. In fact, they must appraise for the same as they are built to the same building code. 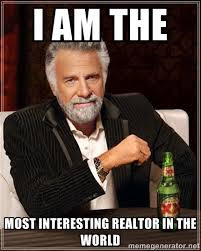 As a real estate agent, you are a sales and marketing person. You would be doing your customer a service to explain to them why FEMA believes there are constructed in a superior fashion to survive storms. You could explain to them that because they are built indoors that they aren't as susceptible to mold and mildew issues that plague homes built outdoors. How many of your customers have children with allergies and would welcome the option to build/own a healthier home? Perhaps the author can help other real estate agents to really understand modular construction. It would be a huge service to them and their customers! Mr. Gassett, your article was well written, but tilted to the past and failed as an introspective on current modular home construction. The "eye soar" you mention is also misplaced: there are plenty of tract homes stick built in the mid 20th century that were every bit an eye sore. But hey - talking about it must be a boar. Agreed Harris but just like there are stick builders who are putting up junk right now, there are modular that would fit that description as well. You guys have your blinders on and are hyper sensitive when you hear any kind of differing opinion other than your own. That is pretty sad. My article gave a balanced perspective of pros and cons. Sorry but if you think other people don't share the same opinion as many of the things I wrote then you are sadly mistaken. Bill, you're right. We are fairly sensitive. When you've been beat down for a long time, one usually comes up swinging. We brought much of this onto ourselves cross selling HUD with code-built modular. We did it again selling direct to the public. But none of this means you cannot look forward. Read Sheri Koones and see what forward thinking looks like. She writes about what is possible. You write anecdotally as if it were fact. I didn't see a source or a chart anywhere in your blog. In fairness, it is just a blog. It's easy to find fault with the weird guy. It requires effort to uncover his strengths. BTW, you don't have to apologize. "Many people" consider it a sign of weakness.